This is a scene that I've posted before, but it's a beautiful and serene one, and like many photographers, I like to rework and retry photos and edits, just in case I can do a better job. It's hard to outdo the real thing, though. The warm lights, the Christmas decorations, and that elegant Packard Coupe all create a romantic and beautiful scene, one that really ushers the joy of the holidays. It's a fitting last impression on guests before they depart California Adventure! 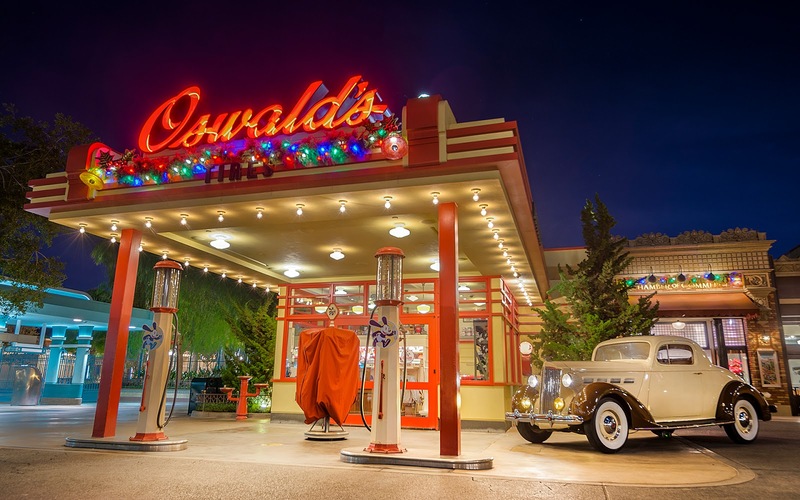 Oswald's after hours during the holiday season.